Email banner is a perfect way to add some colors to your letter and attract more attention to your services or products. More than that, catchy and attractive promotional banner is all you need to boost your email marketing campaign. So, let’s try to create something impressive and memorable together! First of all, you should understand your limits. Meaning, what you can use in your email banner design and what is a no-no. Well, if you are a company employee, there are probably some boundaries to your fantasy, like brand colors, company style, or even templates to use. In this case, you can still be creative and use some of the following ideas. Adding a possibility to rate your service or product in your email signature will win you several points. Make it simple and clickable. Don’t redirect people to other pages with a request to fill in some form or provide an extensive feedback. Believe me, if there is someone who wants to do it, they will find a way to give you the detailed review of your services. c) to understand the consumers’ opinion about your job. In addition to design improvement, the promotional banner with feedback will help you to gather statistics in an efficient and unstrained way. The nice thing is to include the information about your (or your company’s) latest rewards, certificates, quality labels, etc. But don’t add ones from the last decade – this will look miserably, as well as the awards from some unknown institutes with no web address, or reviews of Internet bloggers. 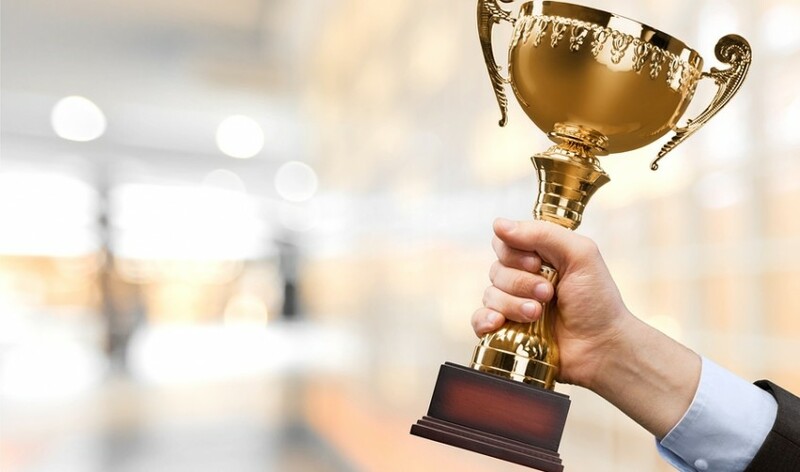 If you have no trophies, just don’t try to make them up – the credibility of your brand would drop below the ground level. The reward email signature banner can redirect people to the page on your website where the event is described or to the latest news page, for instance. You are doing two things together: communicating with a client on a business purpose (or why else you’ve been writing that email) and inform a person about the future occurrences. Low-pressure advertising works better with current clients: this way you will understand the interest in a particular event and will be able to analyze the results with any purpose. Afterward, you can email detailed information on the upcoming occasion only to those, who are interested. Or you can add a link to the page of the event and track the click-through rate. What else works better for a click-through rate than a promotional banner offering discounts? Almost any business can make up some promotions, deals, and sales. Be it products or services discounts, free consultations, bonuses, or little presents added to purchase – this all sounds attractive to your permanent business contacts. Once again, you are using soft advertising, mentioning your promotion casually. Loyal customers will appreciate your business etiquette. If they are interested, they follow the link in your email signature banner or call you back (or whatever you mention doing for more info in your email banner design). Banners for email signatures can be a strong support to your marketing campaign, so try to do your best to make your banner outstanding. If you are self-employed or don’t have strict company borders for your email banner design, then there are several more ideas for you. Make people love your letters by adding funny elements to your email signature. Relevant pictures, memes, emotions, graphic details, and even gifs – let your imagination fly. But don’t forget about simplicity, clarity and, of course, common sense. You want to look professional, and your emails should stay business-like. Simple promotional banner, in compliance with your email signature style, with little funny effects, will serve you well. If you have time and inspiration, create several banners and check what works best. Also, you can use some non-standard language for your email signature banner. For example, you want to add a feedback banner. So, why not use some more exciting options than Excellent, Good, Bad, etc., or Stars for rating? Think of adding some memes or emotions for rating your services, or a text like: Loved it; Yes, Good; Never Again; OMG; It’s been an amazing experience, etc. 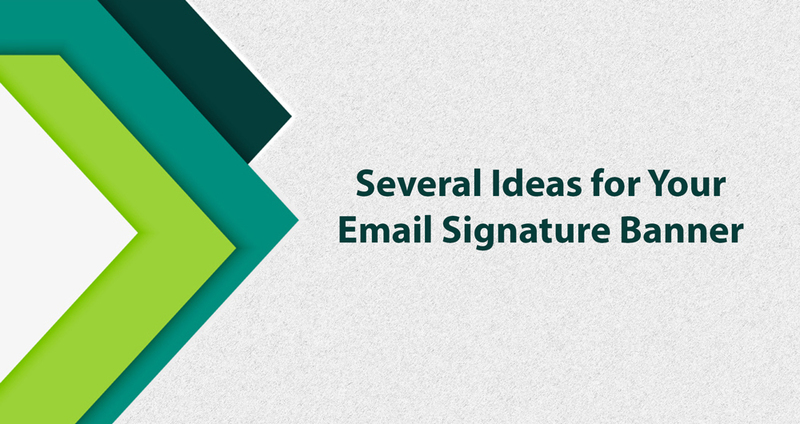 This way your email will look more personal, you will sound more interested in clients’ opinion. And people appreciate when you consider their comments and improve your work. Where to Look for Nice Design? P.S. Remember about common sense, relevance, and clarity in your email signature banners. Previous PostPrevious Why your logo should appear in your email signature? Next PostNext How to Build an Efficient Invitation Letter?